We have some amazing dive sites around the coast, here are some details about one’s that we regularly visit. There are many photos in our gallery for you to view. Most dives will last around 45 minutes depending on air consumption. One of the most popular dive sites in the area. Suitable for all level of divers from Open Water and above. Depths range from 6 mtrs to 14 mtrs. There are several natural amphitheatres formed over millions of years. Marine life here can include flounders, bass, turtles, octopus, moray eels and much more. 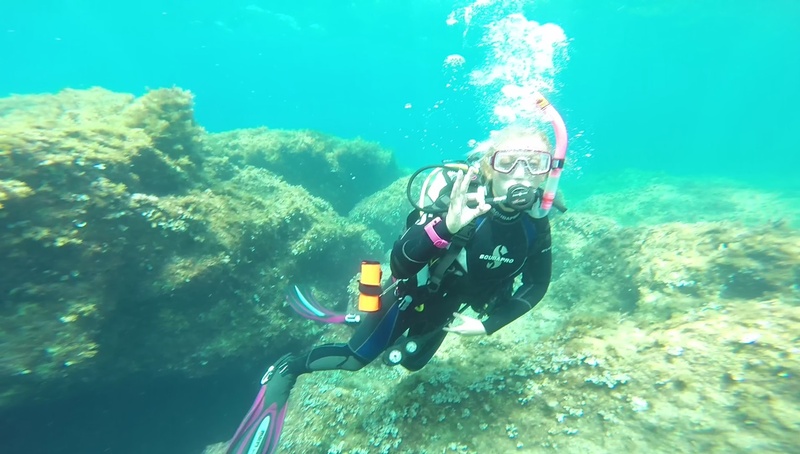 100 mtrs away from the Amphitheatre this dive site offers many swim throughs both small and large, keep your eyes open and you can easily find new ones, with varying depths from 4 mtrs to 20 mtrs it’s suitable for all levels of qualified diver. Located in between Pistol bay and the Amphitheatres the site is known for its large stage area formed when the roof of a cave collapsed. At the right time of day the sunlight shines down through the hole and illuminates the stage and any diver passing by. Swim throughs can also be found here. We enter at the end of the jetty, follow the rocks out to a large natural archway, cutting across to a sand road and then drop into a large crater where we find a big swim through. Heading out and following the rocks and sea grass down to 18mtrs or deeper if you’re qualified before heading back to the harbour. 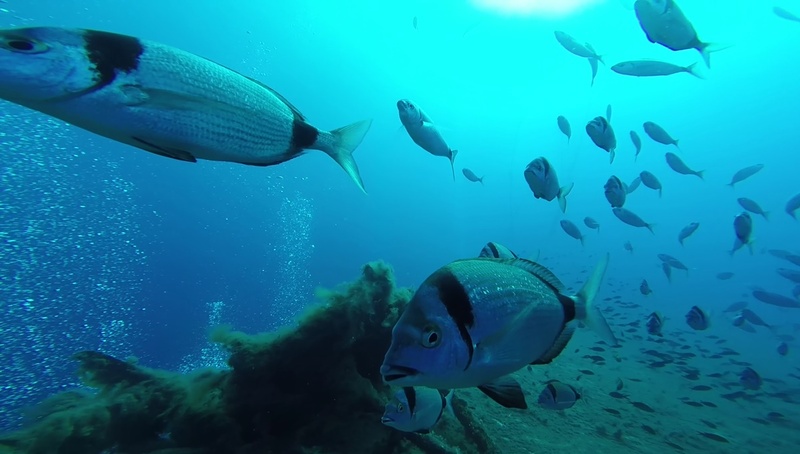 The Zenobia ferry sang on her maiden voyage in June 1980 and has since become one of the top ten wreck dives in the world. She now rests on her port side completely intact in 43 metres of water just 1.5 kilometres from the Larnaca coastline. The Zenobia wreck is 172 metres long with 104 Lorries laden with cargo, making her an excellent dive. Leaving Paphos around 6.30am we travel along the coast to Larnaca. We board the “queen Zenobia” with our equipment. There is free tea and coffee on board and after a hot drink we prepare out equipment. I give a briefing about the wreck of the Zenobia and describe our dive plan. Sea conditions are usually very calm as we head out of port around 9am. Upon reaching the splash point, we enter the water and look below the surface where we can usually see the wreck around 18 metres below us. We will either descend down the mooring line to the wreck or freefall down to the top of the Zenobia. Depending on your comfort level and qualification we may head to the stern and over the side to one of the propellers where a moray eel generally lives. Coming around the wreck we pass hundreds of fish including sea bass and bream, stone fish and large groupers. We look at the Lorries still on board and the lifeboats still attached the Zenobia. Turtles are frequent visitors to the wreck at certain times of the year and you may find yourself diving alongside one. Typical dive time for the first dive is around 45 minutes after our safety stop and after our surface interval we prepare for our second dive. Usually a little shallower, we may go inside the wreck passing through the bridge, the cafeteria with its vending machine or maybe through the accommodation area. There are so many areas to explore. After our second dive it’s time to relax as we head back to port. There’s always a bbq on the way to port, with chicken, pork, salad, dips, bread, rice, pasta and soft drinks and relaxing on the upper deck on the sun loungers or sitting filling in our log books before heading home after an amazing experience. Arriving back in Maroni around 3pm. This wreck is classed as one of the top ten wreck dives in the world and shouldn’t be missed on a visit to Cyprus. Non divers are also welcome on board and can take advantage of snorkelling once moored up over the Zenobia. In January 2016, a drone flying off the coast of Limassol found what was thought to be an undiscovered shipwreck, it turned out to be an old wreck that had almost been forgotten about. Almost nothing exists on the internet about this wreck. After extensive research and dive planning, my buddy and i decided to try to locate it. As a Padi wreck diving instructor there was a lot of planning and discussion about safety and emergency procedures, search patterns, turnaround times etc. The wreck is very shallow with the deepest being 6 mtrs and the top deck laying around 2 mtrs below the surface. It’s around 100 mtrs long and about 20 mtrs wide. It’s a perfect wreck for you to do your Padi wreck diving adventure dive or as part of your wreck diver specialty. 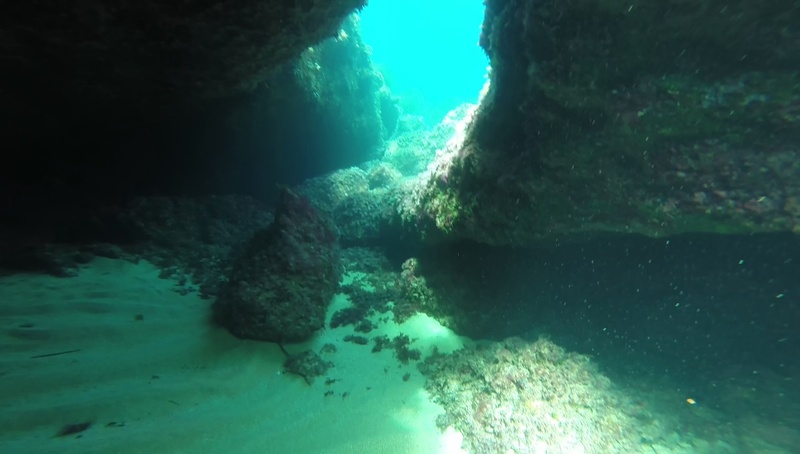 The following video shows what we found on our first dive. Enjoy because we really did. The Lady Thetis is a passenger vessel 30 mtrs long and lying in 18 mtrs of water and the Constandis is a Trawler lying in 22 mtrs and 23 mtrs in length. 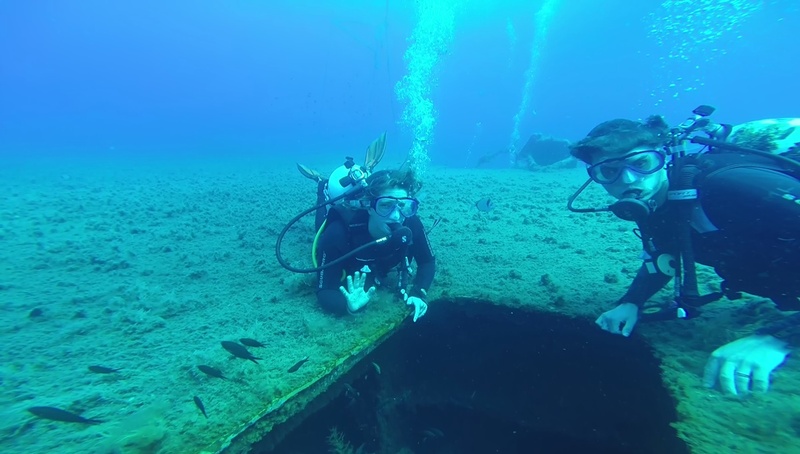 Both these were sunk in February 2014 to form artificial reefs to encourage more marine life around the area, currently they’re home to hundreds of different fish including a large family of groupers. Lion fish have also started appearing on the wrecks. 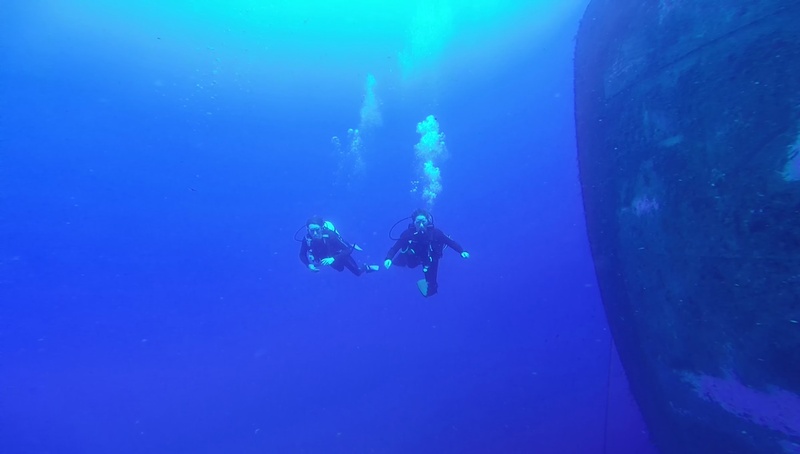 A supplement applies to these 2 dives as they can only be reached by a short boat ride. We also visit a number of great dive sites in Protaras, please contact us about details and prices.